While Christians bemoan this cultural slide into moral anarchy, we meet the crisis by throwing gasoline on the fire. I doubt if there is any sector of modern culture that fuels the spirit of relativism more than the evangelical church. The evangelical world is marked more and more by an anti-rational spirit. Reason itself is viewed as the ogre that brought about secularism in the first place. Therefore, reason is to be abandoned to make room for faith. Yet an unreasoned faith, or an irrational faith, is but one more form of relativism. 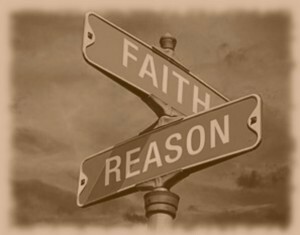 Some years ago in a debate at a major evangelical seminary, one debator, a New Testament professor, remarked that people can come to contradictory interpretations of the Bible, concluding, “That’s all right.” He declared that the Bible cannot be limited by logic or reason and that God’s truth may be revealed through contradictions. Somehow it has become a mark of piety to believe that God’s Word is cloaked in contradictions. No matter that a heresy couldn’t even be identified as a heresy without the rudimentary use of reason to distinguish error from truth. Reason, as a function of the mind, is an impartial judge. It carries no brief for paganism nor any case for Christianity. Reason itself has no content. It is merely a means to judge the consistency and coherency of propositions. Again and again Christianity has been attacked in the name of reason. Those who reject revelation have wanted to substitute “natural reason” as the ultimate source of knowledge. Here the mind is closed to content that comes from God via revelation. As Christians we insist that we have knowledge from special, supernatural revelation that goes far beyond what can be learned by the marked speculation of reason. But, that revelation is not irrational. Christianity is indeed more than reason. It is not less than reason. Reason is the ally, not the enemy of the Christian. We assert this because God himself is rational. God is consistent and coherent. The truth he perceives and reveals is objective. It admits of no contradictions. God’s Word is intelligible. It is given to us for our understanding. The faith or trust we live by is not sub-rational or irrational. It is an eminently reasonable faith. We trust with our hearts what we understand with our minds to be true.